Please contact Roni Phipps with any questions. The September Hospitalist dinner at the Marriott Providence was a success, with interesting and informative discussions. 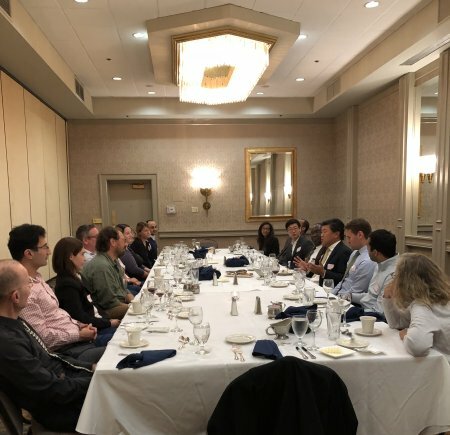 Here is a photo of an engaging conversation with Dr. Joe Li and some Rhode Island Hospitalists. We had a great chapter meeting! Take a few moments to view photos from the meeting. See how our chapter members participated in and enjoyed the Internal Medicine Meeting 2018 in New Orleans! The 2017 Rhode Island Chapter Abstract Booklet is now available for download.